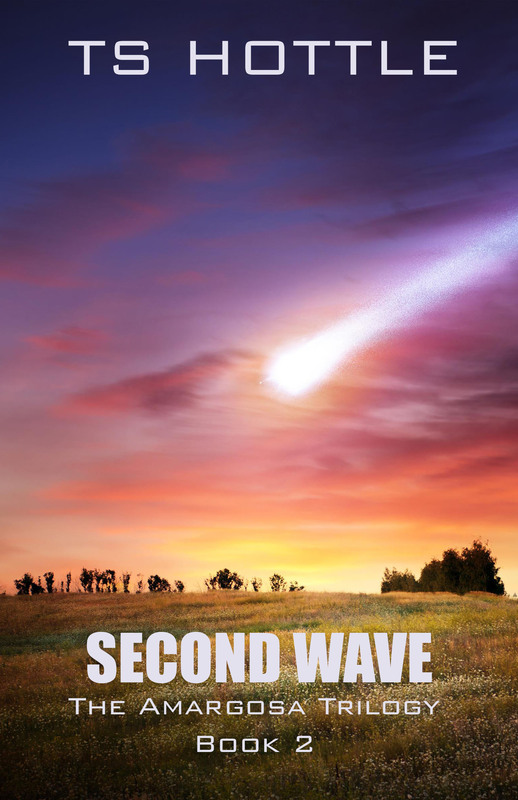 Second Wave is the second book of The Amargosa Trilogy. It will debut on February 28 with a live launch event on March 3. It is available now for pre-order on Kindle. JT felt his chest swelling despite himself. From seemingly empty shops, saloons, and houses, a shabby group of people emerged. JT knew none of them but saw recognition in Yuwono’s eyes. Not a single Marine or Colonial Guard among them. Some of them looked tough, their clothes rough but not out of place in a mining town, maybe a bit dirty from lack of cleaning. Most, however, dressed for the city even though it was clear the city was long gone from their lives. They wore office shirts, slacks, and skirts. On their feet, though, they wore makeshift boots and shoes. Some had the black uniforms that Lucius Kray’s people had fashioned. From the insignia on them, JT guessed Tarak had done his best to make them resemble Marine uniforms, but they clearly were not the nano-fiber that JT and Yuwono wore.